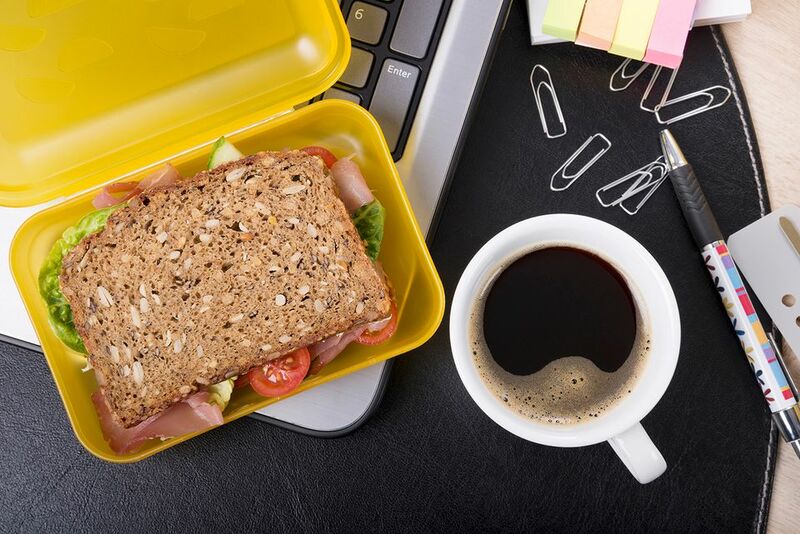 Cold sandwiches are a mainstay in the school lunchbox, as a quick snack at home, and perfect to pack to bring along to work. Often, though, we stick to the same old combinations of bread and fillings and forget to get creative with our sandwich recipes. With so many options at the grocery store nowadays, it is easy to be creative and to eat a lunch that is "outside the box." These delicious, healthful, inventive recipes will satisfy the whole family—and survive the trip to work or school in your lunchbox. From wonderful vegetarian sandwiches to sandwich recipes for meat lovers, as well as new ideas for using ingredients in your pantry in surprising ways, lunch just got more exciting! This easy cold sandwich is full of flavor, texture, and color. You'll love the combination of chicken combined with tart apples, crunchy celery and walnuts, and sweet dried cranberries in a tangy, homemade mayonnaise-mustard dressing. Use a store-bought rotisserie chicken for a sandwich that's a snap to put together. It's perfect for your lunchbox​ and tastes especially fantastic on raisin bread slices. This scrumptious Italian sandwich is made with fresh mozzarella, zesty salami, sweet roasted red peppers, vibrant basil leaves, and rich, buttery olive oil. Layered on a submarine roll, this hearty, satisfying sandwich is perfect for packing for work​ or makes a great school lunch. It's important that you use a good-quality, fruity olive oil to drizzle on the inside of the bread. This sandwich gets even better as it sits, allowing the flavors to meld together. This tasty, French-style cold sandwich with savory rosemary ham, creamy goat cheese, juicy apple, tart lemon, and peppery arugula won't fail to ignite your palate and makes the perfect lunchtime meal. The combination of sweet, salty, spicy, and crunchy will satisfy your taste buds and make you wonder how you existed on plain ham sandwiches. It takes less than 5 minutes to assemble this classic, Italian submarine sandwich that's packed full of mouth-watering flavors. Made with thick slices of fresh mozzarella, sweet Italian tomatoes, rich extra virgin olive oil, tangy balsamic glaze, and fragrant green basil, the Caprese sandwich is a tasty and satisfying vegetarian lunch that's also super easy to make. Cooked shrimp are combined with creamy mayonnaise and savory seasonings in this upscale lunchbox sandwich recipe that's equally delicious on a crusty baguette, or packed into a pita pocket stuffed with crisp lettuce leaves. If you have leftover filling, serve it stuffed into a hollowed-out tomato or artichoke for an elegant appetizer or first course. Protein-rich and bursting with exciting flavor, this creative sandwich recipe has to be tasted to be believed—and it may just become one of your go-to favorite lunches. Basic, good-for-you peanut butter toast is given a Thai twist with zesty lime juice, spicy sriracha, and vibrant cilantro, with a little drizzle of honey to balance it out. Make two open-faced toasts and put them together for a fabulous lunch that's quick, easy, and delicious. The classic New Orleans Muffuletta is widely thought to be one of the best sandwich recipes in the country. What's not to like about this stacked and pressed sandwich that features layers upon layers of beautiful mortadella, ham, salami, provolone, and fresh mozzarella? Briny pickled peppers and olives add a zing to the olive oil dressing that makes this unbelievably tasty sandwich even more flavorful. Smoked salmon adds a bit of luxury to this sandwich as part of the creamy spread that's accented with fresh basil. Stuffed into a flaky, buttery croissant pastry, it's like having the best brunch dish in the palm of your hand. This recipe calls for first sauteing the cold smoked salmon in a bit of butter, but if you prefer your salmon straight from the package feel free to skip this step. Why pack a basic chicken salad sandwich when you could be eating something far more exotic tasting? This robust and savory curried chicken salad sandwich packs a ton of flavor, with fewer calories than your typical chicken salad filling. Light Greek yogurt, spicy sriracha, and Indian spices provide a tangy bite, with grated carrot and dried cranberries adding sweetness. Try it on a bagel, or stuffed into a large pita, for something different and delicious. The typical turkey club gets a taste of Thanksgiving in this double-decker sandwich recipe. 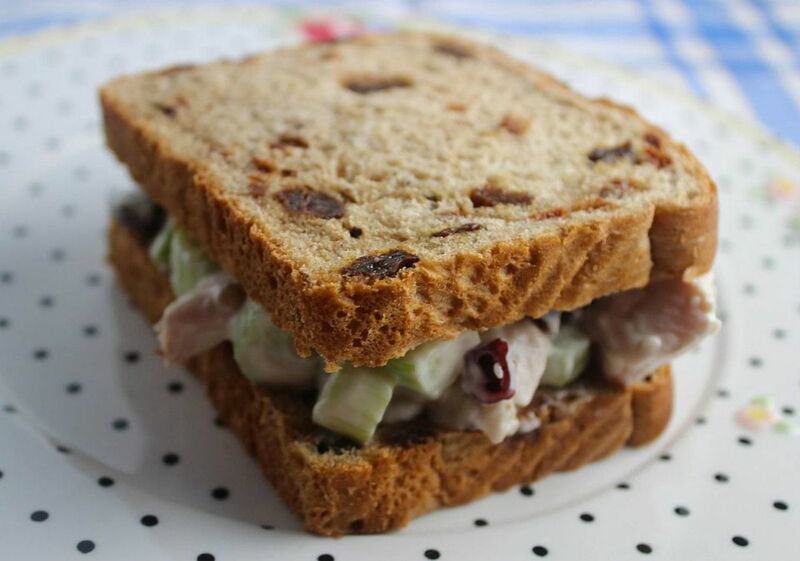 Roasted turkey meat is layered between slices of white bread with crisp, salty bacon slices and crunchy fresh veggies. But the highlight is a bit of cranberry sauce for a dose of sweet yet tart flavor. It's a wonderful lunchbox recipe, or enjoy it for a quick meal at home. Rich, sharp Parmesan cheese and tangy mustard deliver a punch of flavor to this mayonnaise-based tuna salad sandwich that's anything but ordinary. Crunchy vegetables including bell pepper and onions deliver texture and flavor too. Serve it on a whole wheat bun and enjoy every bite. This filling, cold sandwich wrap recipe lets you enjoy the indulgent tastes of a classic avocado, bacon, and ranch sandwich without all of the guilt—instead of mayonnaise, flavorful Greek yogurt is what makes the dressing creamy. You can feel great about eating a serving of heart-healthy tomato and vitamin-rich avocado, too! When you're craving a lighter lunch, these delicious cucumber mint sandwiches are an elegant and easy option. Just four ingredients are needed to make this classic afternoon tea sandwich recipe. Delightful fresh mint provides a cooling flavor, making it an ideal choice on warmer days when you'll be enjoying lunch outdoors. Perhaps a bit retro, pimiento cheese spread is also creamy and cheesy, with a wonderful smoky flavor, making a perfect cold sandwich filling. Store-bought pimientos are blended with silky cream cheese, smooth mayonnaise, and savory Cheddar cheese to create this classic sandwich spread. This recipe also keeps well in the fridge and makes a fabulous party dip—just add some cream or mayonnaise to achieve your desired consistency. Tender, leftover cooked salmon combines with just a handful of other ingredients to make a delicious sandwich spread that's a step above the usual salmon salad. You'll enjoy the welcome texture of diced fresh vegetables combined with salmon in a flavorful, creamy mayonnaise-based sandwich filling spiked with ​Dijon mustard and Parmesan cheese. If you have a leftover salad it makes a great appetizer spread on crackers.